I often get sent a piece of code written in something like MATLAB or Mathematica and get asked ‘how can I make this faster?‘. I have no doubt that some of you are thinking that the correct answer is something like ‘completely rewrite it in Fortran or C‘ and if you are then I can only assume that you have never been face to face with a harassed, sleep-deprived researcher who has been sleeping in the lab for 7 days straight in order to get some results prepared for an upcoming conference. Telling such a person that they should throw their painstakingly put-together piece of code away and learn a considerably more difficult language in order to rewrite the whole thing is unhelpful at best and likely to result in the loss of an eye at worst. I have found that a MUCH better course of action is to profile the code, find out where the slow bit is and then do what you can with that. Often you can get very big speedups in return for only a modest amount of work and as a bonus you get to keep the use of both of your eyes. Recently I had an email from someone who had profiled her MATLAB code and had found that it was spending a lot of time in the interp1 function. Would it be possible to use the NAG toolbox for MATLAB (which hooks into NAG’s superfast Fortran library) to get her results faster she wondered? Between the two of us and the NAG technical support team we eventually discovered that the answer was a very definite yes. Of course the real code contained a lot more than just a call to interp1 but using the above technique decreased the run time of the user’s application from 1 hour 10 minutes down to only 26 minutes. Thanks to the NAG technical support team for their assistance with this particular problem and to the postgraduate student who came up with the idea in the first place. Mike, so you are saying that fitting 7 datapoints takes 0.5 seconds ?! That sounds ridiculous right? I tried doing it in Mathematica, it takes 0.1 second the first time, but after the packages are loaded only milliseconds. And that even includes 2 plots! So maybe she should give Mathematica a try? What do you think? On the system where I currently sit (different from the one I used when I wrote the article) I get the following timings using the code in the article and the Mathematica code above. What I don’t understand here is why my MATLAB score for this system is so much better than my other one since the hardware is almost identical. NAG is still faster but not as much as I originally thought. Maybe I need to do more sophicsticated timings than just tic and toc? I will invesitigate. OK so I should have known better – individual timings can vary wildy and I should have taken an average of many runs. So I did. So I was wrong. The NAG solution isn’t 9 times faster than the MATLAB version. It’s 17 times faster on average! Both NAG/MATLAB and pure MATLAB are faster than Mathematica. 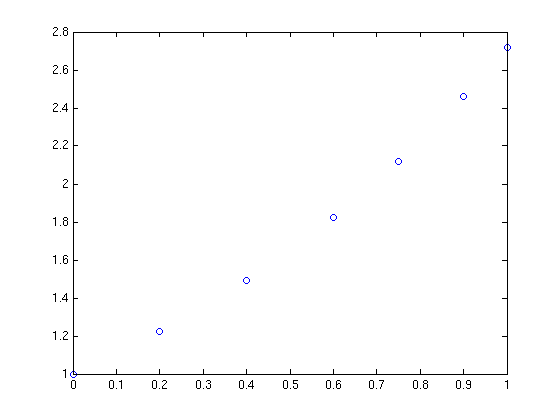 Your timing of INTERP1 of Matlab surprises me. I assume you use the latest version of Matlab. I use R2008a on a 6+ years old Dell Precission 450 with Windows XP SP3. Here are a couple of my results. Elapsed time is 0.048815 seconds. — second call – ??? Elapsed time is 0.011384 seconds. Elapsed time is 0.009701 seconds. Elapsed time is 0.009132 seconds. Elapsed time is 0.009301 seconds. Elapsed time is 0.008757 seconds. I repeated this a few time and see the same pattern every time. timesol[Range[0,1,0.00005]] (as the function automatically threads over a list of arguments). You are right – it seems that it’s only the first run that is much different from the others. I’m using 2009a on Windows XP SP3. Would you mind running the following please (the one in the comment above) It has a larger t and is repeated 100 times just to make sure? Table is slow? First I’ve heard about it! I remember back in the day being told ‘Don’t use Do loops – use Table because it’s faster’. Thanks for letting me know – as soon as I get into uni tomorrow I’ll check it out. Might be another blog post in that. I often try to circumvent using table, but rather using Map (/@). Note that Table is not always slower, it is sometimes faster than Map. But if you have a list of values, and you want to evaluate a function at those values, most often Map (/@) is the fastest. It just depends on the task which is faster, I often try both with varying result. I think in general you can say: For < Table and in some cases For < Table < Map. Sometimes it is worth looking in to the way you make a list! Ok, last comment of the day! Thanks for that per – your results are in line with mine considering your computers speed etc. I guess that the time I mentioned in the post was an anomaly which could have rendered the whole post pointless but fortunatley for me everything checks out just fine. Just to repeat I get the following times using the script that you have just tried. So the NAG result is 17 times faster. I never trust numerical “benchmark” demonstrations that take less than a second to run, much less those that take a fraction of a second. There could be too much stuff going on in the background. If you want to benchmark something, write a loop that does the same thing over and over, close all applications, let it run for several minutes. I do believe that NAG should be much faster. A lot of Matlab functions are written in Matlab’s language, but NAG library is compiled code. Now, if only my university had a license for NAG. It would be interesting to see how much faster is NAG’s optimization code, arma estimation, and other statistical routines. I suspect much fast since most of this code in Matlab’s toolboxes is based on interpreted m-files. This is specially bad for optimization routines, most of which have to run in a loop. 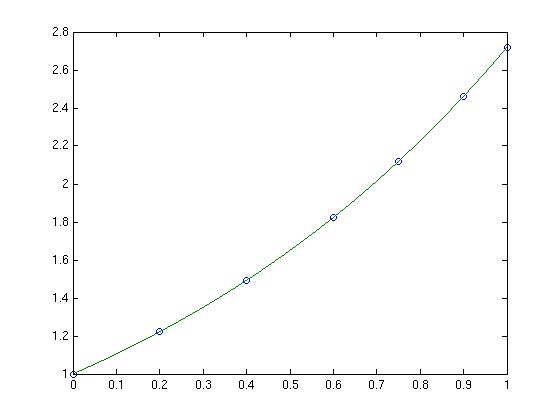 As for other NAG functions – I imagine that some will be faster than MATLAB whereas other won’t be. MATLAB uses compiled code too for certain functions and it will be here where NAG’s advantage might go away. I don’t intend on working through a systematic set of benchmarks for lots of functions. If I find a production MATLAB code that needs speeding up where I can drop in a NAG function then I’ll try it out. Oh, I am sorry. I did not intend to ask you to benchmark anything. I just wondered, in general, how much, if at all, NAG functions could be faster than the MATLAB implementations for doing statistical work in things like say time series analysis. I am almost certain that NAG will be faster since probably all of NAG is compiled code but only some of MATLAB’s functions are compiled into libraries. For example, Matlab’s ARMA-GARCH family of functions in econometrics toolbox seems to be written entirely as MATLAB scripts, as well as many things in the optimization toolbox. I believe there is a general view in the statistics community that MATLAB’s optimization is weaker than other packages, but I don’t know to what extent this is true. When I have time, I’ll download the trial copy of NAG toolbox to try it myself. No worries. I actually would be interested in collaborating with someone to do a small selection of benchmarks so feel free to get in touch if you’d like to work through something. I don’t want to do a thorough study of 100s of functions but concentrating on a small subset of commonly used functions might result in something useful.